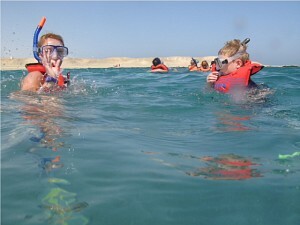 Take a fabulous Red Sea boat trip! Marsa Alam is renowned for its varied reefs, fantastic corals and colourful marine life - now see it for yourself. Swim, snorkel or simply relax and enjoy time with family and friends. To make things easy for you, we offer a complimentary pick-up and drop off service from near-by hotels. 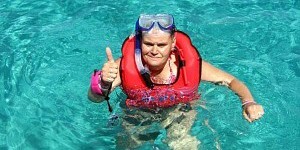 All our guides are PADI/SSI qualified. Swim, snorkel or simply relax and enjoy time out with family and friends. This is a leisurely trip leaving at a respectable time of the morning without any rushing or hassle. Numbers are limited to 24 so you will never have to fight for the best space! Sit back, relax and go with the flow. A freshly prepared lunch on board is provided. Time: Leave 11.00 / Return 15.15 approx. Price includes hotel pick-up, lunch, bottled water/soft drinks, fish ID card, PADI/SSI qualified guide, equipment and taxes. We offer a complimentary pick-up and drop off service from near-by hotels. If you're looking for a day to remember, this is it! Everything oozes quality as you are picked up direct from your hotel reception in air-conditioned comfort and brought straight onto one of our larger, premium boats. Powerful engines take you further and faster with more space to relax on the way. The reef systems of Shaab Abu Dabab are pristine and exclusive; often you will be the only boat there and be the only snorkellers in the water. Dolphins and turtles often make an appearance, while the usual professionalism of the Oceans guides, boat crew and chefs will keep you safe and entertained all day, whether you choose to snorkel, swim or sunbathe. Time: 08:00 / Return 16.30 approx. Our premium Mini B experience is available on this trip, where you can dive for longer (approx. 25 mins, 40 GBP/45 Euro supplement), always 1 to 1 with an instructor, always amazing!